Blue Microphones are famous for its stylish and futuristic designs. If you have involved in vocal or voice recording in your home studio, I’m sure you had come across various stunning-looking Blue microphones that are available in the market. Blue USB mics series are very suitable for vocals, musicians, singers and podcasters who record their voice productions in a home studio. There are 6 types of Snowball USB Mics: Snowball, Snowball ICE, Yeti, Snowflake, Spark Digital and the Yeti Nano which is the latest mic released on August 2018. 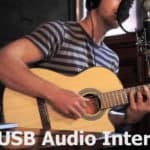 The best thing about using the USB mics on your desktop, laptop, and even tablet is that you can plug and record instantly without any complicated setup. All USB microphones consisted of the built-in internal preamp and an analog-to-digital converter that process the incoming voice signal, amplifies it through the built-in preamp and then converts the voice signal to digital format. Determining your voice sources are the most crucial step in choosing the most suitable microphone for your recording purposes. The fact is that most USB mics are condenser mics. And condenser mics are perfect for recording sound sources like piano, vocal, and other lighter sound sources. If you plan to use it for recording louder sound sources such as basses, guitars, drums and other loud instruments, you better get a dynamic USB mic or opt for the USB mic that can handle the louder sound sources. USB microphones convert the analog audio format to digital format via its built-in analog-to-digital converter. The quality of the A/D conversion is defined by its sample rate and audio bit. The higher the audio-bit or sample rate per second, the higher the quality of the converted sound. Most of the USB microphones can produce the audio-bit in 16-bit depth with 44.1 kHz resolution like the sound quality of most standard CDs can. For USB mics, the price is relatively inexpensive compared to other the XLR-cable mics. At the average price point, you can easily found a good mic that doesn’t have to break your budget. 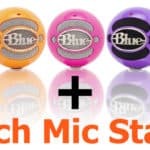 The Blue Snowball mic can record in 2 optimized mic recording patterns. The first one is the speech pattern which is optimized for vocal or speaking voice recording. And the another one is music pattern which is optimized for music recording for musical instruments like guitar and piano.The Snowball is surely a good USB mic that can be used for most recording needs such as voice calls, video calls, podcasts, voiceovers and basic vocal recording for singing.If you have the “Omnidirectional Mode” turned on. It’s very sensitive enough to pick up any noise in the room. Thus, you have to make sure your recording environment is quiet enough while recording. It’s especially very useful in recording live band performance in your room to pick up the sound sources from your singing voice and several musical instruments at the same time.If you switch it to “Cardioid Mode,” it only records the sound sources directly in front of the mic to produce fuller and richer sound. This mode is suitable to use in podcasting, vocal, singing, voiceover and other vocal voice related works. And the best additional mode of Blue Snowball is the “Cardioid Mode with -10 dB PAD”. It’s similar to the “Cardioid Mode,” but you can capture louder sound sources (such as basses, and drum) with its higher fidelity capability. This feature is absent from the ICE model. And this Snowball mic supports 44.1 kHz and 16-bit output without any traditional analog mixing. After all, it’s a high-end USB microphone for your personal use rather than a professional sound studio-grade microphone. To Be honest, the Snowball iCE Mic only suitable for one-person voice recording purpose. If you plan to use it for voice calls, video calls, voiceovers, vocalizing recordings and nothing more. This Snowball iCE USB mic, that’s the mic you can take into consideration. The “cardioid mode,” that’s it. Nothing less, nothing more. It’s the only ambient mode you can ever use in this Snowball iCE USB microphone. For those who want to buy the Snowball Series mics, they must be very careful about the differences in features between “Snowball” and the Snowball iCE” models despite it’s merely few dollars difference in price. It is more advanced than the Snowball Series mics in the aspect of several features and technology added utilized in the mic. It’s a professional studio -grade USB mic that are made for vocals and musical instruments recording purposes. It’s suitable for recording higher quality vocals, musical instruments, voiceovers, field recording, group interviews, video calls, voice calls and live band performance in any environment. Based on my experience, Blue Yeti is the USB mic that is most favorable by singers. Blue Yeti utilizes the Tri-capsule array technology where it employs three condenser capsules to record any sound sources in any given environment. Thus, you can record various sound sources clearly at once which would typically require several multiple mics. You can use four different recording modes in Blue Yeti include cardioid, bidirectional, omnidirectional & stereo. 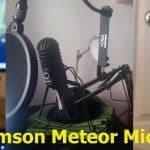 Which is more advanced than the Snowball Series Mics we had discussed above. The Blue Snowflake USB mic is famous for its portability capability. It’s not suitable for the professional voice recording purposes. It’s merely an external USB microphone that able to record more superior sound quality than your average built-in internal mic in your laptop / PC. It is a semi-directional mic where it made to pick up all the sound sources from in front and little from the opposite direction. If you are just looking for the one that can seamlessly hide into your laptop bag and use it for general purposes like voice calls, video calls, general voiceovers, podcasts that don’t require super quality sound. That’s the most simple USB mic you can opt for. Blue Spark Digital mic is a studio-grade USB mic that made for both USB and iPad compatibility in mind. It does pack with the great basic features such as Focus Control, Mute Botton, Headphone jack for zero-latency and real-time monitoring functions. The Focus Control provides “Normal” mode for recording the all the low-frequency sensitivity sound sources around the area, and the “Focus” mode for picking up fuller and clarity sound in front of the mic which is very useful for vocal voice recordings. After all, Blue Spark Digital could be a suitable USB mic for you if you always record your voice or music via iPad or iPhone. The Yeti Nano is the newest mic model from Blue which was just launched in August 2018. The design is quite small and compact with only half of the size of the original Blue yeti. It features 24-bit/48Khz audio quality with the cardioid & Omni sound pickup patterns. In my opinion, This Yeti Nano is more suitable for podcasting, voiceovers, and spoken voice recordings. It works great in the small room environment. But its sound pickup quality is a little inferior in the bigger room environment, as compared to the Blue Yeti original. In conclusion, if you are planning to use your Blue USB mic mainly for singing and music recordings, you can’t go wrong with the Snowball. Not the iCE Model. Just to remind you, iCE Snowball is only suitable for basic personal usages to record sound from a single sound source. The Spark Digital is only suitable those heavy Ipad / Iphone users who are quite comfortable with fewer features and functions as compared to the Snowball. 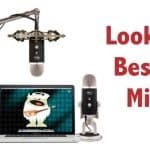 Backed by various features and functions as a comparison and benchmarking perspectives as we have discussed, I found that the Blue Snowball USB microphone is the most professional USB mic that suitable most of the circumstances and purposes. 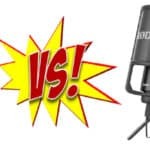 As far as for the professional recording such as singing and vocals, I would suggest using the Blue Yeti or Blue Spark for this purpose for optimum audio quality.